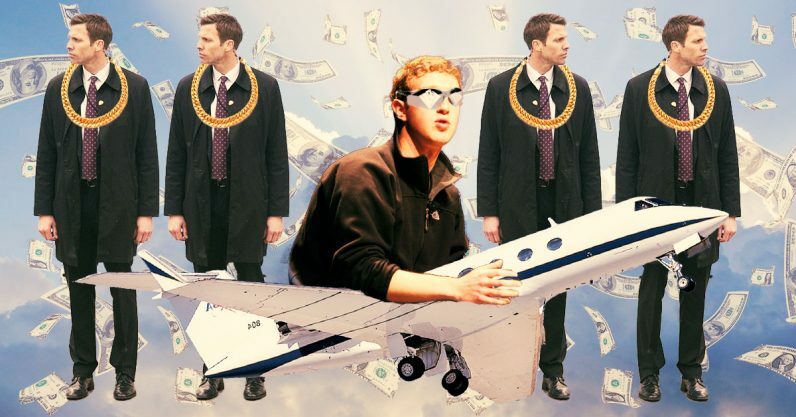 The social network yesterday filed a report with the SEC, which disclosed CEO Mark Zuckerberg’s security allowance. All those extra trips to testify in front of Congress this year must have taken their toll, because he’s now allotted $10 million. That’s a significant increase over last year’s budgeted $7.3 million. … cover the costs of security personnel for his protection; the procurement, installation, and maintenance of certain required security measures for his residences; and the usage of private aircraft for personal travel. You may be thinking that, since Amazon CEO Jeff Bezos is the richest man in the world, sometimes, his company must be spending the equivalent of the US defense budget keeping him safe – if you are, you’re dead wrong. According to a report from Fortune, Amazon spent $1.6 million on his security. Unlike Zuckerberg though, Bezos took home a salary of $81,840, so it all makes sense if you ignore the math. Besides, whether spending two million or ten, neither company comes close to the amount the taxpayers spend on billionaire President Donald Trump: $120 million. Read next: Are people dumb? Or is the world just hard?